DeConcini McDonald Yetwin & Lacy, P.C. is pleased to announce bankruptcy and creditors’ rights attorney Jody Corrales has joined the firm’s Tucson office as an associate. Ms. Corrales focuses her practice on bankruptcy and creditors’ rights. She is Board Certified in Consumer Bankruptcy Law by the American Board of Certification, an American Bar Association-accredited program and the Arizona Board of Legal Specialization certifies her as a bankruptcy specialist. 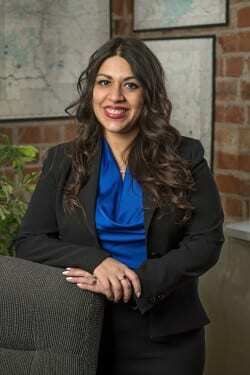 She has been recognized in the Bankruptcy and Creditor-Debtor Rights Law category of the Southwest Rising Stars list by Super Lawyers in 2013 and 2014. In 2014, Ms Corrales was awarded the Hon. Eileen W. Hollowell Pro Bono Attorney of the Year Award from the U.S. Bankruptcy Court for the District of Arizona. Jody Corrales earned her J.D from the University of Arizona, James E. Rogers College of Law and is licensed to practice in federal and state courts.